I have a lot of feelings about lunch boxes, none of them especially genial. But as this teeny tiny person that I only just recently brought home from the hospital, barely able to utter a “beh” and now able to fill a 2-hour car ride back from a beach house with all the words every uttered (hm, wonder where he gets it) begins kindergarten this week, and will do so with a lunchbox in hand, I’ve realized that the only way to move forward with my grouchy feelings about lunch boxes is to air them here, in this town’s square, and then move on. And so here goes: I, Deb Perelman, resent lunch boxes. I resent that my friend Valerie can send her children to a French summer camp where they are served hot lunches (just the basics, like blanquette de veau, omelette aux champginons and, oh, a galette du rois) on real plates daily and the best my child can hope for is stuff like this. I resent that we don’t prioritize filling our children’s bellies with nutritional, balanced meals that will fuel them their growing bodies and brains through long school days, and that only parents with the means to (time or financially) can provide wholesome alternatives. I resent that I’m looking down the barrel of a decade or more of this, every single school day. And I resent that, on top of all this, if our summer months of packing lunch boxes for camp were any indication, at least half of the food will come back uneaten because a whole lot of places that ostensibly have children’s best interests in mind feed them cookies or crackers with ingredient lists as long as this blog post and juice in the middle of the morning as a snack, sometimes just an hour before lunchtime. And I know how terrible this makes me sound — whining about being lucky enough to have lunch options, problems which, believe me, I am very grateful to have — but I am a person that needs to vent, I need, yes, to also be allowed my tantrum (hm, wonder where he gets it), before I can move on and now I’m ready. Because life, as I’ve tried to explain with limited success to my (sniffle) kindergartener, is not about what you like and want as much as it is about how you handle what you dislike and don’t want. Plus, I wanted to tell you about this one thing that’s actually worked, if “worked” can be defined as coming home with an empty lunch box, asking for it again the next day and then even receiving an email from the teacher asking for the recipe because it looked so good. I am not sure I will achieve such great lunch box heights again, so we’re going to run with this. It was, of all things, the spinach strata I shared a few years ago as the perfect brunch dish for a crowd. 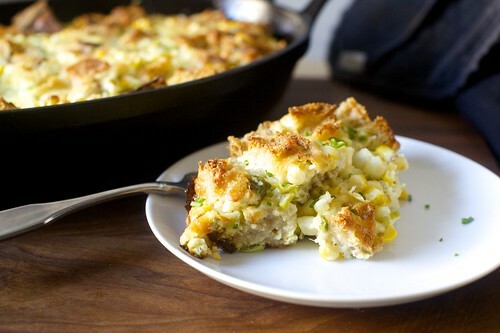 Cubed bread, beaten eggs, milk, and a hearty helping of spinach and cheese cook together into a savory bread pudding that is nothing short of a dream for breakfast, lunch or even dinner. It’s also surprisingly packed lunch-friendly: it freezes well, reheats well and holds this warmth for hours. I figured that I was providing him with the grilled cheese sandwich he’d rather subsist on, while throwing in some protein, calcium and green vegetables that make me feel triumphant, or at least like I’m doing a passably okay job at this parenting gig, uh, today. But it’s still summer out so I believe that this dish needs a winter’s-not-coming-yet lunchbox update. To get us ready for the big week ahead, I used a whole-wheat sourdough bread (miche), lots of sweet summer corn, sharp cheddar cheese and scallions. Unlike the spinach version, no sauteeing or even heating of ingredients is needed — you’ll just chop and assemble. You set it in the fridge overnight or at least for several hours and bake it when you’re ready. It can then be kept in the fridge for the rest of the week or frozen in foil-wrapped squares slide into a larger freezer bag, perfectly portioned to easily be reheated in the morning before school. The other sections of his lunchbox are usually filled with kid-approved fresh stuff: cucumbers, tomatoes, strawberries and sometimes even a couple thin slices of salami. In an ideal world, the lunchbox will return empty and there will be no pre-dinner hangry meltdowns that result from mostly skipping lunch. But in the one where I actually live, we’re also going to need some after-school snacks for big and small people alike. More of that, soon. * I missed you. I didn’t mean to abandon ship for almost two weeks, but the beach house we’d rented which promised wi-fi (also a/c, three bedrooms, details) didn’t have it, nor did it have a phone signal, thus I couldn’t use the wireless card I keep as a backup, which meant I couldn’t tell you about grilled herb and yogurt flatbreads as I’d planned but it also might have been for the best (well, for me) because it forced me to take a real vacation and it was kinda wonderful. I eeked out some Instagrams from the beach and various home-cooked meals, over here. Now, let’s make up for lost time! New Category: Lunch! Lunch boxes may be more specific, but these are things that I think can work for all ages — whether you pack one for the office or just hope to have something easy to reheat at home in the middle of the day. I’m just populating it now; let me know if you think a dish in the archives is a great or beloved candidate for inclusion. Thanks! Lunch Box Strategies: I’d love to hear about yours — what’s worked, what flops and how you managed the daily part of it without wearing out. I need tips! I buy whole wheat sourdough in quarter loaves (which clock in at about or just under 1 pound) from the Le Pain Quotidien chain or Balthazar, inexpensively. Balthazar distributes to many grocery stores, as well. 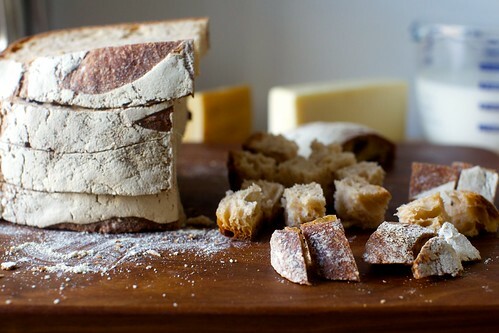 A baguette or country bread will also work here. You could deliciously replace the parmesan with a crumbly salted cheese such as feta, ricotta salata or queso fresco; use just 1/2 to 2/3 cup instead. In the spinach strata, 2 tablespoons smooth Dijon mustard are whisked into the egg mixture and it’s wonderful. But I (hangs head in shame) couldn’t resist replacing it here with a less earnest ingredient — mayonnaise. Obviously, if you loathe mayo, you should skip it or just use the Dijon. 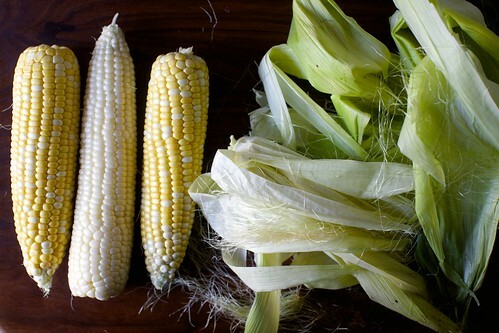 But if you like it, you probably already know how good it is with cooked corn and cheese. Generously butter a 3-quart baking dish (a lasagna or 9×13-inch pan works well here too). 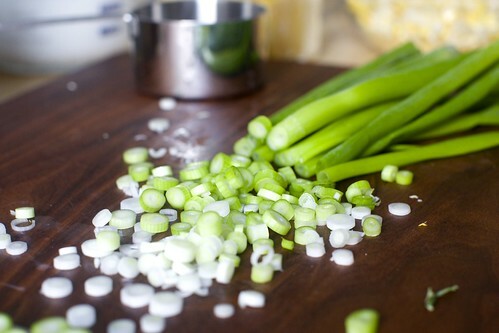 Toss corn and scallions together in a medium bowl. 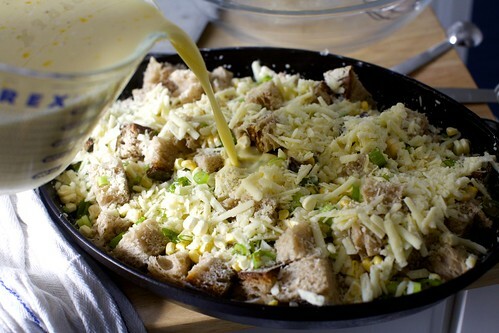 Combine cheeses in another bowl. In a large bowl, gently beat eggs and mayo together, then whisk in milk, salt and lots (or, if measuring, 1/2 teaspoon) of freshly ground black pepper. Spread one-third of bread cubes in prepared baking dish — it will not fully cover bottom of dish; this is fine. 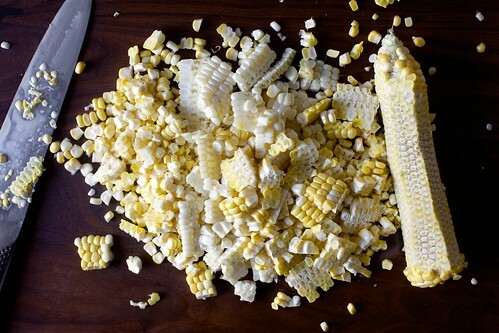 Add one-third of corn, then cheese mixture. 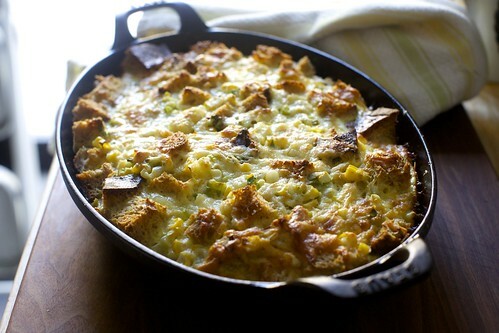 Repeat layering twice with remaining bread, corn and cheese. 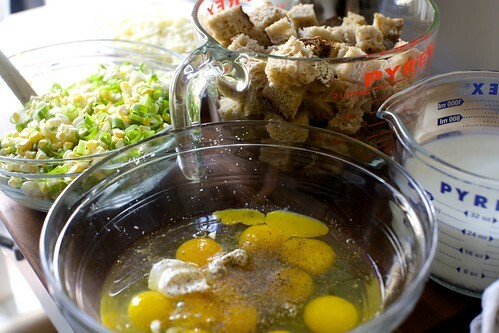 Pour egg mixture evenly over strata. Cover with plastic wrap and refrigerate for at least 8 hours or up to 1 day. When ready to bake, heat oven to 350 degrees F. Bake strata, uncovered, until puffed, golden brown and cooked through, about 45 to 55 minutes. Let stand 5 minutes before serving. 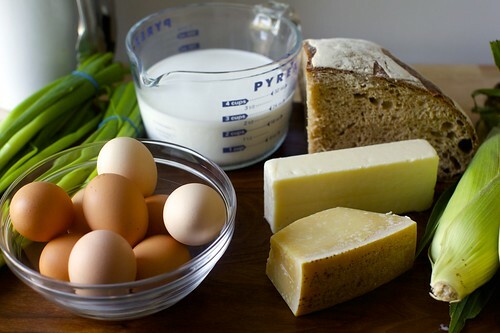 Do ahead: Strata keeps baked in the fridge for 4 days or longer in the freezer, wrapped well. It reheats wonderfully, either from the fridge or freezer and holds up well in lunch boxes.